A row has erupted in the upper echelons of the National Union of Students, as its president wants to investigate claims made on social media that she has bullied staff members. Every elected NUS officer, including its vice-president for FE Emily Chapman, will be working from home this week “to protect all parties”, a spokesperson said today. The battle lines were drawn after president Shakira Martin posted a screenshot on Facebook of a tweet allegedly sent by Mark Crawford, the postgraduate officer at UCL’s student union. In it, he accuses her of being a “scab”, a term unions use for colleagues who take the opposite side in industrial disputes. She complained in response that “these people are as abusive as my ex was to me”. The NUS women’s officer, Hareem Ghani, then announced on Twitter that she would be filing a complaint to the NUS, over what she feels is Ms Martin’s inappropriate comparison to domestic abuse. She also claimed that the president “has threatened and bullied officers over the course of the last six months”. and I’ll just be transparent here: I’ll be submitting an complaint against the president. not only bc of this horrendous comparison, but bc she has threatened and bullied officers over the course of the last 6 months. 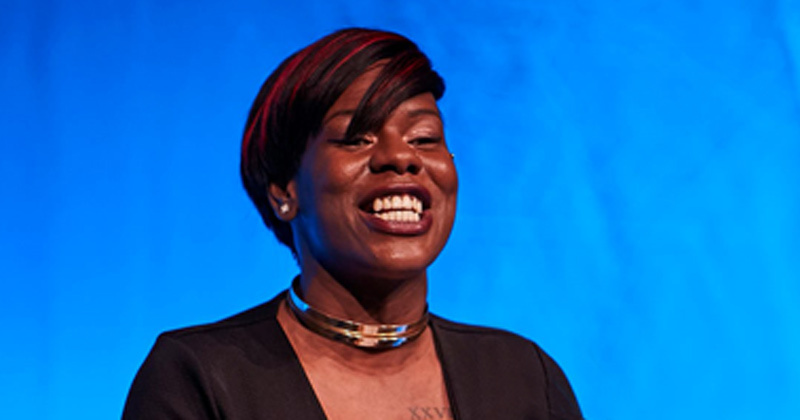 “As chair of the NUSUK board, Shakira Martin has called for the complaints on social media to be investigated,” a spokesperson said in a statement. “These complaints and those about other full-time officers are now under investigation and as an interim measure to protect all parties, all officers will be working from home this week. “All officers are still able to carry out the duties within their role while the allegations are being reviewed. “While it is a not a situation the organisation wants to be in, there are a series of measures that have been put in place to ensure the safety and support of staff, officers and volunteers is made a top priority. Ms Martin published a statement on Facebook which she also tweeted yesterday, in which she claimed to have been the victim of “harassment and provocation”. Please read my below statement on last night, and the last six months. “I have been baited and provoked on purpose and recorded in my own workplace by those who claim to support working class black women like myself, but would happily push me to the limit and watch me break,” she said. She claimed to have over the last six months “experienced some of the worst harassment and provocation”. “This weekend has been one of the hardest of my life. Seeing those closest to me use personal defamation to get one up in the countdown to national conference was destroying me from the inside out,” Ms Martin, who also posted an impassioned video of her defending herself on Facebook, added. But Ms Martin, who was elected president last April after two years as VP for FE, vowed to stay on as president, in order to “leave this movement better than I found it”. She has reportedly come under increasing pressure from the left wing of the union, who do not think she has been pushing hard enough for free university tuition fees, and has concentrated too hard on lobbying the government behind the scenes rather than through direct action like strikes. “When I was elected, I promised to be the president that listens, learns and leads. I still intend to be that kind of president,” she said.